29 Dec Should You Pop the Big Question Over the Winter Holidays? There’s nothing quite as special as the winter holidays – and those of you who are in love with everything December-related know just how amazing this time of the year can be. Since this is already a very special moment, why not make even more amazing and unforgettable by proposing to the one you love? You can actually do it surrounded by your friends and family – the people you love most in the world. They are the best witnesses you could ever have for such a moment and they will be more than grateful for having included them in it. You could let them all know about your plans, you could let some of them know, or you could let nobody know – it’s your choice. Whatever you choose, this is bound to be a really amazing moment! You can actually save a very good sum of money. Black Friday deals and Christmas deals can land you some pretty good savings on the engagement ring – so even if you run on a tighter budget, you still get the chance to buy a truly superb ring for your SO. You can propose at midnight on the 31st as well. Want your big moment to feel really grand? 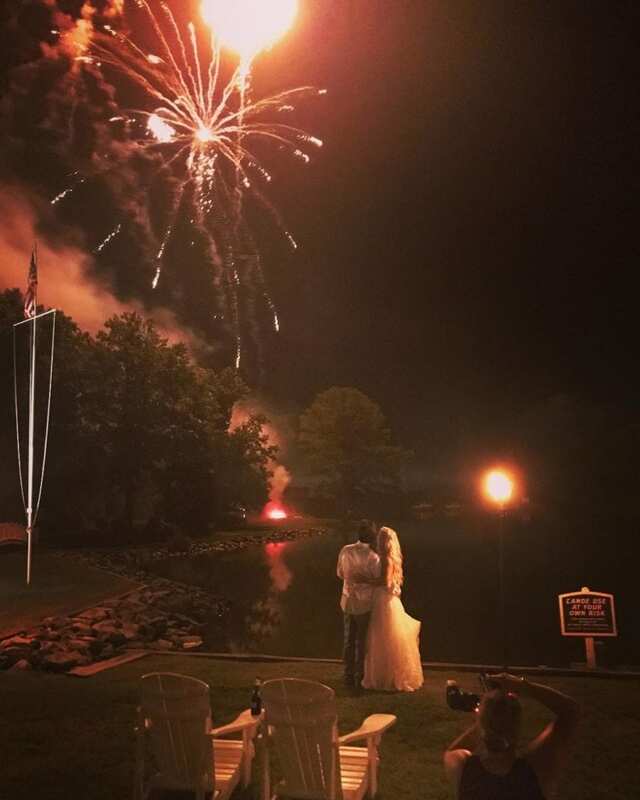 What could be better than proposing at midnight, with fireworks above you and a lot of joy and glamor surrounding you? If you’re the kind of person who loves the “new page” every year brings along, this is the perfect moment to do it. Even if you’re not into any of the reasons described above, one thing is for certain: winter holidays have their own special kind of magic. And with a background made out of fairy lights and cinnamon fragrance spreading into the air, it’s quite hard to not make this a magical moment in itself. It is, truly, one of the very best gifts you could ever offer to the one you love! Already engaged and searching for the right venue on the Eastern Shore? Contact The Oaks, schedule your personal tour of our grounds and we guarantee you will LOVE it here! Book us and we our venue make the wedding of your DREAMS come true, right under your eyes!